Posted in: Bug Info, Support Questions. Most of the functions work. The fan panel and temperatures work, and the extra USB ports work. I have not tried the 1394 connection. However the media card slots do not work. I was able to find a manual online and read it carefully. I also read the manual carefully for my ASUS Sabertooth X58 motherboard. The second connector for the media connection was inserted into the USB connector backwards. Yes backwards. This connector is a half width connector which is designed without a key, and is designed that way so that two connectors can be inserted into the MB USB connector. Here is a closeup after I reversed the connector. You will notice that the red color coded +5 volt wires are now both facing to the left as they should be. 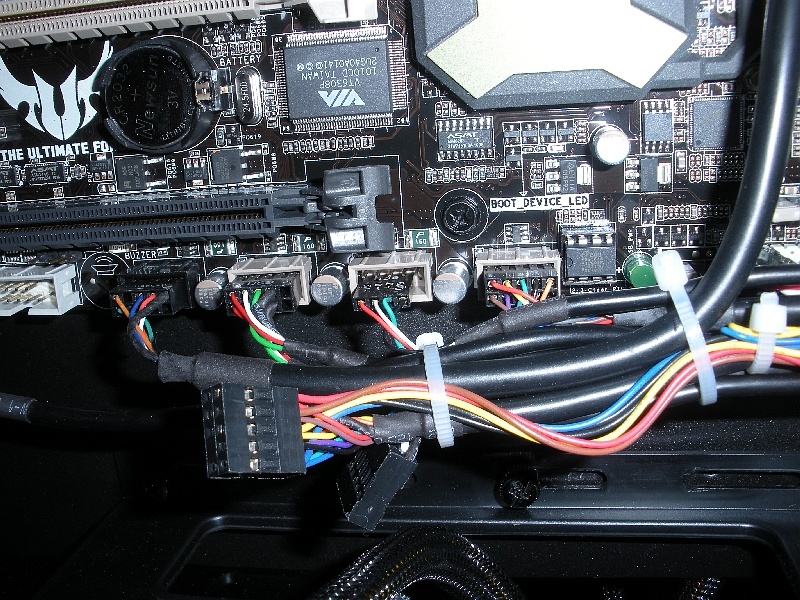 The connector on the right was reversed and the red wire was on the right. I have confirmed that this is correct based on the MB manual as well. So it would never have worked the way it was wired. 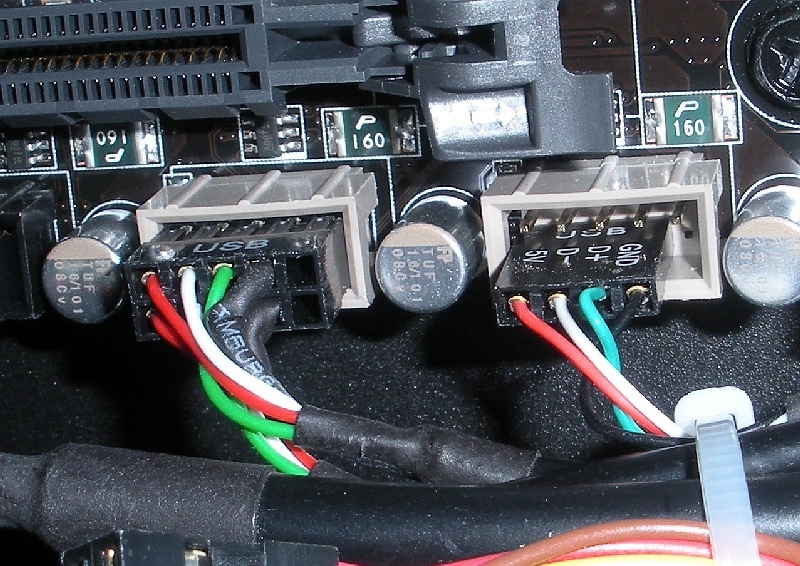 I have confirmed that all the USB connectors still work by reversing these connectors and determining that the additional USB ports – which are on the right in the picture above, still work. However the media card connections still do not work. I think it is possible but unlikely that plugging them in wrong wiped them out.